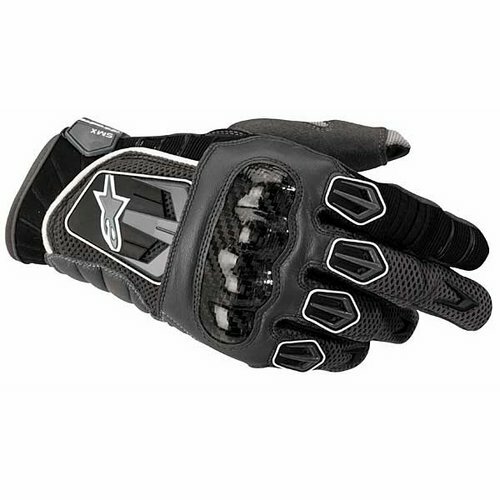 The lightweight and comfortable Alpinestars S-MX 2 Air Carbon Gloves draw their inspiration entirely from the motocross world. 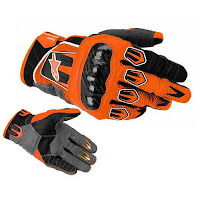 Aggressive MX styling with five color options, including a bright orange, the AStars SMX-2 Glove is a great urban street riding glove for the summertime. 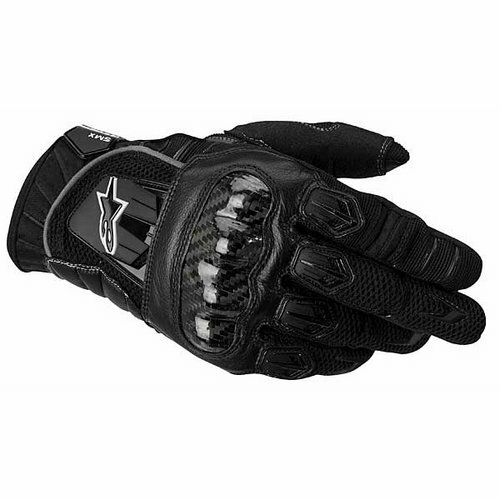 The Alpinestars S-MX-2 Air Carbon glove is very straightforward in construction, a combination of mesh, clarino synthetic leather, and full-grain leather in the fabric areas. The carbon fiber knuckle protection is constructed on a flexible articulated panel which maintains the armor in its proper place whether you're gripping the controls or if your hand is fully extended. That's just a great subtlety of Alpinestars design. For added protection, there are plastic hard parts on the fingers and on the back of the hand. Silicone printing on the fingertips for increased grip, a rubberized velcro wrist closure, and a neoprene cuff round out the features on this great bang-for-the-buck glove. Check out other summer motorcycle gloves at RevZilla.com.